OwnerGo helps organize your community in a big way. Watch this video to learn more..
OwnerGo is the customizable web portal for all condo, apartment, townhome, and single family home communities. Give your homeowners and residents access to critical information and let the website take care of the bookkeeping details for you. It's all inside! OwnerGo is the free way to organize your community. These features, plus many more, are all included on the free version of OwnerGo! You'll also have access to additional features and upgrades when you need them. OwnerGo automatically manages the leasing lists, prompting homeowners to enter leases for their tenants and placing those leases in the lease approval queue. 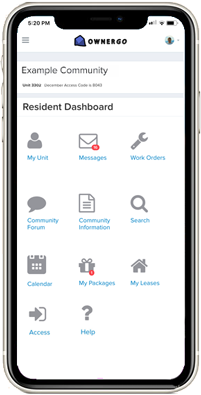 Our work order management tool allows residents to upload pictures and allows you to manage projects from start to finish. 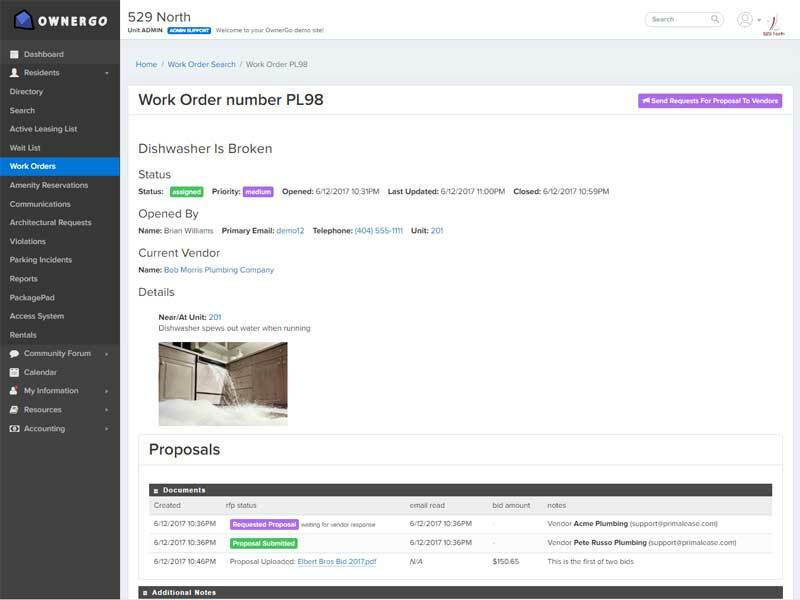 Vendors can access the work order system, submitting bids and updating their tickets. The board will have a wealth of information at their fingertips, including architectural requests, resident contact and vehicle information, and much more. Get everyone talking with the community forum. Let all homeowners and their tenants get involved in the discussion- the perfect way to let everyone collaborate. Send emails and other communications to different groups of people and keep track of all communications and delivery in the communications log tool. Display and organize community events on the community calendar and the amenity reservation tool. Manage and display your meeting minutes as well as display all community documents, such as the covenants and declaration, for all owners to see. Allow homeowners to submit architectural requests and facilitate the voting and approval of those requests by the board. Read about managing your community, and how you can use OwnerGo to streamline tasks and help make sense of it all. See our full list of articles. Automating many management tasks in the cloud saves you time and money. Besides providing an intuitive and professional interface for your communities to use, all the information they need is right at their fingertips. Make your property management company shine by integrating the OwnerGo website with your accounting and record keeping systems, giving your homeowners an even more fluid experience. We're teaming up with several popular service providers to integrate their services into the OwnerGo portal. 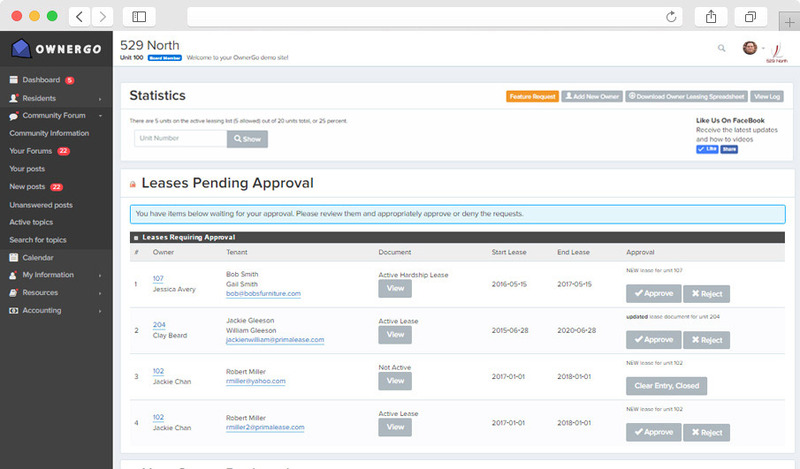 When new services or features become available, property managers and board members are notified when first logging into their account. Want to give your community a presence on the Internet? Create your community information page on the Internet for a low monthly fee. Use our quick and easy landing page creator tool to create a professional looking community website with our templates. Your homeowners and residents will have a custom webpage (with custom URL), and even have a custom login page with your community's logo and background picture. This optional service will help everyone, including prospective buyers, find information about your community. Your page will be visible to search engines such as Google and Bing. We are working on a completely integrated, fully-featured accounting tool which will make OwnerGo your complete association management solution. Draft and revise budgets on the fly, then approve budgets via board vote, all online. View the budget in yearly or YTD formats. Automate expense approval and accounts payable functions with OwnerGo. There are two distinct thresholds for manager and board approval, either by simple approval or board vote. Generate all the standard reports for the association with the click of a mouse in a variety of formats. Owners will have access to high level reports from their OwnerGo account. With interactive accounting, you can view more detail by expanding the master accounts. Easily see how far over or under budget you are with the color coded arrows which easily flag budget anomalies. Many other features, such as user based permissions and owner assessment analytic tool, are being developed to help you run your community. The OwnerGo portal was designed from the ground up to work with smartphones and tablets, so anyone with Internet can access the portal. This is useful when walking the property and provides versatility for your homeowners and tenants. 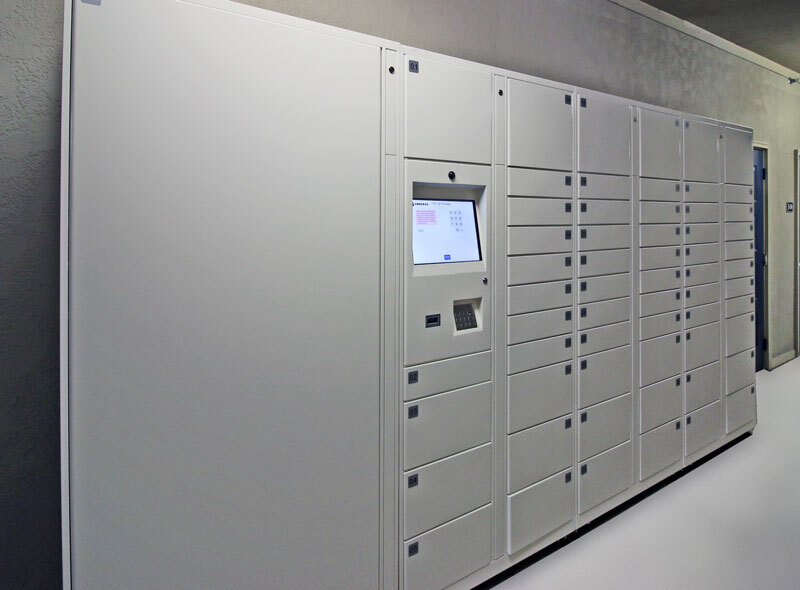 We utilize servers in a state of the art data center, featuring redundant power supplies and backup generators. All personal information listed on the site is stored on a secure server over a 256bit encrypted connection to the user's web browser or mobile phone. There are many ways to customize your community's portal. Setup useful links on the resources menu. Add your communities' covenants and declaration to the site. Setup custom Community Forums. Setup the leasing rules to match the Covenants. Create a custom community webpage available online as well as a custom information page accessible only to residents. It's all customizable. One big challenge facing many homeowners' associations today is keeping accurate and up-to-date homeowner records. 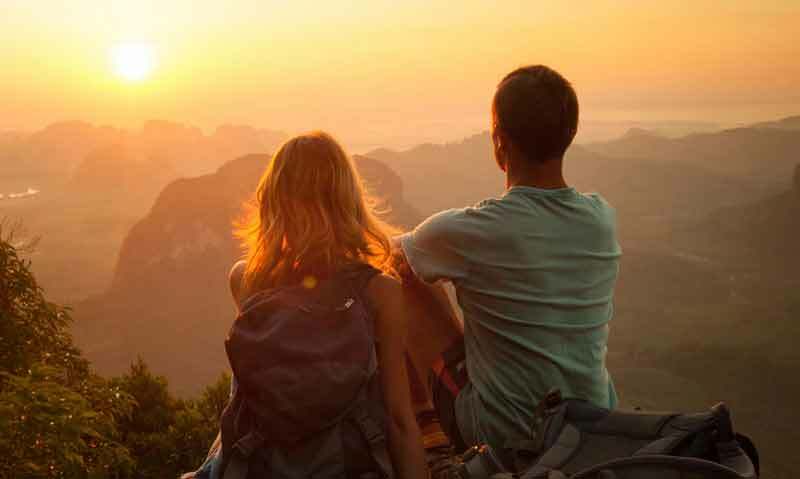 The OwnerGo system was designed for just that purpose. The website allows property managers, board members, and homeowners to update their information, including off-site postal addresses, phone numbers, and email addresses. Homeowners can update this information for their roommates and tenants as well. Keeping accurate information is vital to be able to respond to emergency situations on the property. Seconds count where there is flooding, a fire, a health emergency, or a security situation on the property- and having the right information matters. Want to learn about new features, when they are added? 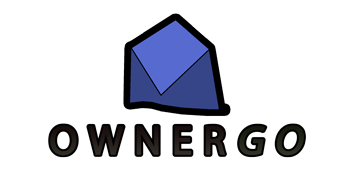 Sign up for the latest information on OwnerGo.